Sixteen Tunisian lawmakers from President Beji Caid Essebsi's Nidaa Tounes party resigned on Friday over a dispute involving his son in a move that may allow Islamist rivals to become the main parliamentary power. The resignations deepened a split between two wings in Nidaa Tounes just days after its secretary-general, Mohsen Marzouk, announced he would break away and form a new political movement over accusations Essebsi's son was trying to control the party. The rift in Nidaa Tounes, formed after Tunisia's 2011 revolt against Zine Abidine Ben Ali, comes at a delicate time as the North African state struggles to contain jihadist violence and encourage economic growth. "The son of the president and his group took control of party and carried out a coup," Walid Jalled, one of the lawmakers told Reuters. "We will not accept being like a flock of sheep." Another lawmaker, Abada El Kefi, said three more Nidaa Tounes parliament members would resign when they returned from travel overseas. After this week's resignations, Nidaa Tounes will have 70 lawmakers in the 217-member congress while Islamist party Ennahda has 69 seats. If more Nidaa Tounes legislators left, Ennahda could become the main pary in parliament. The resignations may complicate attempts to push through sensitive reforms that Tunisia's international lenders are demanding to curb public spending and kickstart an economy hit by three major Islamist militant attacks this year. Nidaa Tounes emerged as a political force in 2013 to lead protests against a government formed by the Islamist party Ennahda. It beat Ennahda in elections in 2014 and went on to form a coalition with its rival. Divisions have been growing inside Nidaa Tounes -- which means Call of Tunisia -- since last year after a dispute emerged between a wing of the party led by Hafedh Caid Essebi the president's son and another by Marzouk, one of its founders. Essebsi's backers dismiss claims they wanted to put his son in a position of power through a dynastic handover of control of the party. 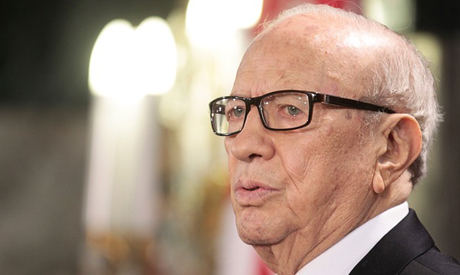 Critics say Essebsi's camp had ridden roughshod over party regulations. With a new constitution and free elections, Tunisia has been praised as a model of democratic transition since the ouster of Ben Ali. It has mostly escaped the violent upheaval of other states in the 2011 Arab Spring uprisings. But after three major attacks by militants last year, Tunisia is struggling with security challenges. It needs reforms to help ease public spending and create economic opportunities that many Tunisians still see as a priority.